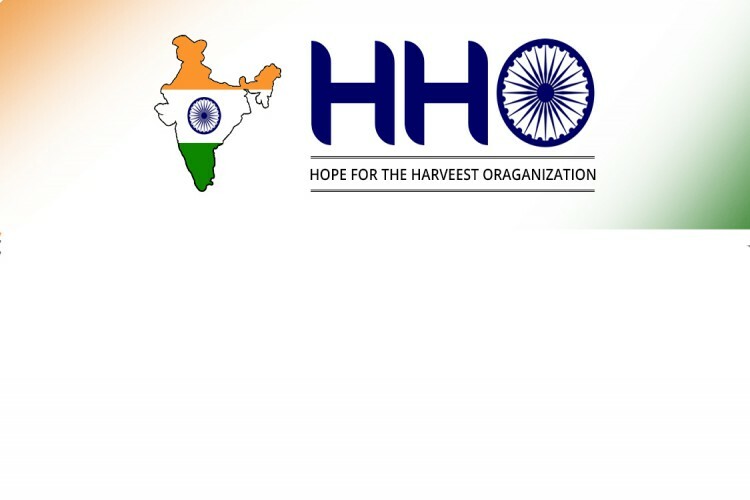 “Hope for the Harvest Organization” is a registered Non Profit, Service Organization working for the care and welfare of orphans, children with HIV/AIDS, aged, widows, and desolated needy and disadvantaged women. The Organization serves the poor in slums and rural areas with a goal to empower to make them self reliant, our organization was founded by a social minded Indian by name B. Srinivasa Naidu, who has a passion to serve the poor and the needy. It is a group of social concerned activists and academics with a vision of achieving total liberation and comprehensive empowerment of people by adopting multigrain strategies. It is committed to develop human potential and the community in the areas of social, economic, cultural and self-governance, addressing the livelihood issues and the rights of people, the target community adhivasis, women, and children disabled persons and the other unorganized. It is working in Khammam District, among 46 mandals, 771 villages. For the empowerment of Scheduled Tribes, Scheduled Castes and other Economically Back Ward classes. Source of Fund: Our organization raises funds from the members of our Organization, well-wishers and also raise community donation through fund raising activities and special events because our organization having 80G of I.T act. Similarly our organization takes grant support from State, Central, and abroad support. Target Groups: Our organization serves to the needy human beings without caste, creed, color, race, religion or any distinction. The target groups is all rural, urban, and semi urban people. Our honest services make us unique. To Ensure a sound and friendly environment for the poor helpless and destitute an Old aged persons towards achieving a promising peaceful conditions for them fostering their physical, mental, social and spiritual development and well being as well. The Old aged Home will be a 4000 square feet concrete building consisting of one male’ living room, one female’ living room, one children living room, one common room, one dining room, one office room, guest room, sick room, one recreation room, three living rooms for the home staff, kitchen and toilet facilities. A deep tube well and water tank will be constructed for supply of safe water. A local contractor will be selected for construction of the old Aged Home through bidding process. The construction work will be completed by May / June 2017 of the project. In our country, 60 plus age group those who no means and of support both economically and affectionately also the persons having extremely inadequate financial resources as those who are physically disabled with no relatives. In our areas, the children are migrating towards cities for their employment leaving their parents alone. Now laborers also creep towards cities where the rapidly growing of Industries. Due to this migration in the villages, only old age people are living alone. No body is looking after them. Due to lack of love and affection, care they are depriving and loosing their mental stability. Now the old age people need Health care, Housing and income security needs. Establishing the old age home and providing the all the needs of the desired group can create such atmosphere. Old Aged persons are often deprived of guardian care and tender love. Being the poor helpless involved in the fighting for themselves and their families, many of the poor helpless an Old aged persons cannot find any mean to participate in social events, spiritual activities, and recreational activities. These all seriously hinders the social, mental and spiritual development of these an Old aged person groups. The project will support such 40 poor helpless and Old Aged persons from remote and surrounding areas. In our areas, the male and female members of the family are wandering in the fields and in the forest for obtaining the food for their family. In this context the snakes, scorpions, forest animal are roaming in the said areas, as those are the vacant and dark lands. Eventually the parents are effecting for the insects and animal bites. Another reason for the death of the parents only is in the rural areas, there are no works to do, and hence they are migrating to the cities and other developed towns for the works. In this context, they are depending on the truckers and other goods vehicles for their transportation. Those are highly endangered transport and eventually they are loosing their lives by way of road accidents. Due to the high way line also the accident ratio is very much high. This is also one of the main reasons for the death of the parents and eventually their children become orphans. So we need support to prepare them as good citizens of our nation and avoid them from becoming the prostitutes and anti social elements due to lack of love and affection. The project will support such 20 poor, helpless and orphan from remote and surrounding areas. To Ensure access of 40 (Forty) poor helpless and destitute and Old Aged persons and 20 orphans in our Home to safe accommodation, tender love, proper care, nourishment, health service and other basic needs through establishment and operation of a sustainable Old Aged & Orphanage home. To establish a well constructed, well managed, community participated and safe Old Aged & Orphanage home at a suitable place. To ensure adequate nourishment and clothes for the targeted the poor helpless and destitute an Old Aged persons and orphans. To ensure access to instant and quality health care for the poor helpless and destitute an Old Aged persons / orphans so that they can get awareness on health and hygienic issues. To create an effective an Old Aged / orphans friendly learning environment for the poor helpless and destitute an Old Aged persons / orphans within the Old Aged & Orphanage Home, so that they can live peacefully as their own Home. To provide an Old Aged persons / Orphans access to fellowship activities, recreational facilities, mental support, social affairs and spiritual formation. To promote resource generating activities for financial sustainability of the old aged home beyond donor funding. To provide education, skill trainings to the orphans to stand on their own legs. In India the Old Age Homes are increasing in number day by day! Yes, these are helpful for the elder people and the inmates are taken care of, by the concerned authorities by looking after their all needs very well! But my concern and point of discussion is that, why at the first place these Old Age Homes are getting increased in the country like India, where we have altogether different culture and traditional values when compared to Western countries! Things Are Different In Western Countries! In most of the Western countries the culture is different! The children become independent and they leave home once they attain the maturity to have their own life leaving the parents at their places and Government looks after these people! But in India we have a tradition and culture where by the children are not treated as a grown up ones and their all needs are taken care of till the time they complete their studies and start earning! For this the parents leave no stone unturned in their lives and they make lot of sacrifices to make their children successful adults in their lives! Musical instrument Drum & guitar etc. The poor helpless and destitute old Aged / orphan will have a safe accommodation and placement where they will enjoy their old aged life in family environment. Gaining adequate nutrition, physical exercise and quality healthcare the poor helpless and destitute old aged / orphan will lead a healthful life. Tender love and provide care will bring a pleasant and enjoyable old aged life for the old aged persons / orphans and offer them emotional and release from mental depression and anxiety. Finally, the old Aged and orphanage home will contribute to build the life of the poor helpless and destitute old aged persons / orphan so that they can be an active person having love, fellow feeling and responsibility for significantly contributing in overall development and reformation of the society, country and nation. Deprivation of nourishment: The poor helpless and destitute old aged will not get adequate meal and nourishment and thereby, will suffer from malnutrition. Deprivation of clothes: The poor helpless and destitute old aged will be deprived from adequate clothing. They will suffer more in winter seasons. Deprivation of health care: The poor helpless old aged and destitute old aged persons will fail to receive health care for their illness. There will remain low awareness on health and hygienic issues among them. Poor emotional support and mental health: The poor helpless and destitute old aged persons will be deprived of family care and tender love. Many of them have to be engaged in adult economic activities. Therefore, many of the target old aged persons will suffer from “Abandoned Old Aged Syndrome” which includes withdrawal from social activities, anxiety, fear and uncertainty, sleep and eating disorders and physical ailments. Poor social and spiritual development: Failing to gain spiritual messages and social participation, The Old Aged persons may become frustrate and feel unhappy to live at home. They will become street beggars. Rental Service: The old Aged home will “CONSTRUCT A FUNCTION HALL” and purchase “VEHICLES” and provide rental service to generate income for sustainably running of the old aged home/Orphanage Home. Community Contribution: HHO will encourage the community to contribute for the poor helpless and destitute old aged as per their ability. Involvement of government and nongovernmental stakeholders: HHO will establish effective coordination with local government, government departments, local churches, religious leaders, traditional leaders, NGOs and donor agencies, and solicit their all possible cooperation and donation for the home. Handicrafts Sale centre: Various items of local handicrafts (Bed Sheet, Shawl, traditional bag and basket etc) will be collected. The sale centre will progressively be widened through within the project from its own income. Beyond the project the sale centre expect to provide some income for sustainability of the home. Your share could be as good as a donation for Hope for the Harvest Organization! Not everyone can afford to take care of their loved ones. 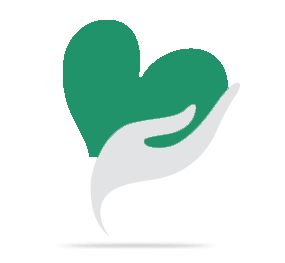 Hope for the Harvest Organization's life can only be saved by donations made by kind people like you.